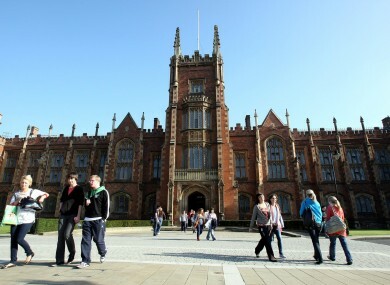 TUITION FEES FOR universities in Northern Ireland could almost double according to a new report. A report by the Northern Ireland’s Institute of Directors chair Joanne Stuart recommends that fees be increased to a maximum of £5,750 (€6,774). Stuart had previously recommended that fees should be frozen at their current level of £3,290 (€3,876). However in an apparent u-turn she has said the cap must be lifted from the start of the 2012-13 academic year in order to meet a potential shortfall in HE funding in Northern Ireland of between £40m and £65m a year. This is also as a response to the increase in fees in England and Wales which could lead to some universities charging up to £9,000 per year for higher education. The updated report, which has been delivered to NI Minister for Employment and Learning Danny Kennedy, also recommends that students should not be required to repay loans until they are earning £21,000 (€24,730) a year. We need to find the balance between the level of tuition fees and how much public finance should be given to the universities. This needs to be done within the context of the current financial and economic realities, particularly those that face my Department. Email “Northern Ireland university fees may rise after u-turn”. Feedback on “Northern Ireland university fees may rise after u-turn”.